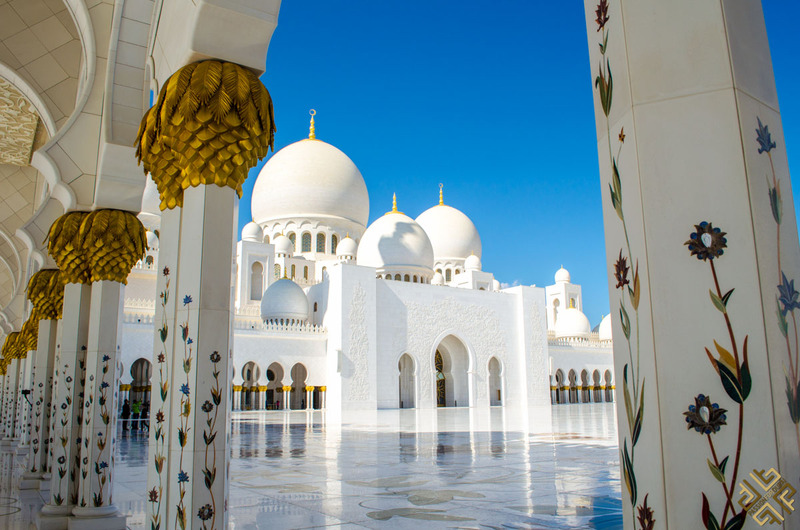 From the largest hand-loomed carpet in the world to the most extravagant of high teas to the adrenaline-fueled parks and the cluster of cultural history – Abu Dhabi is there to challenge every world record and guarantee you an exciting trip unlike any other. 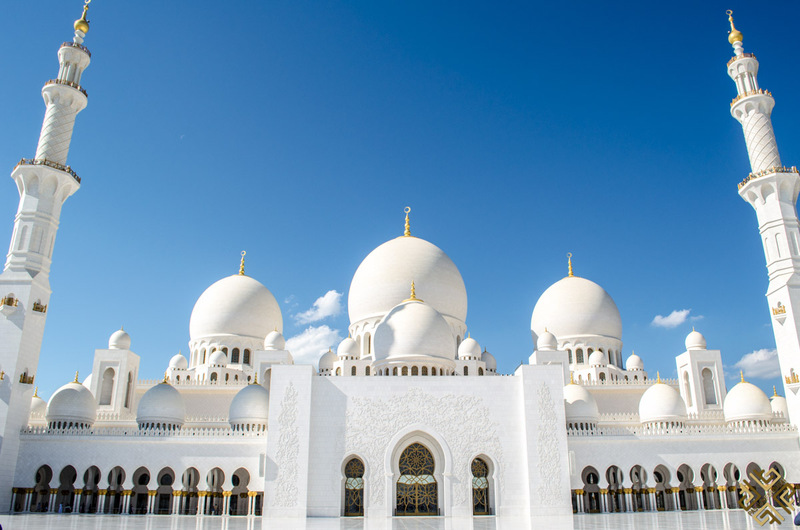 Despite it being less “conspicuous” than Dubai, Abu Dhabi does not fail to impress when it comes to being a cosmopolitan hub of glamour and luxury. It was nothing more than a small fishing village a mere few years ago, and now it’s one that boasts costal promenades, gorgeous world-renowned shopping malls and a glimpse into history and culture unlike any other. 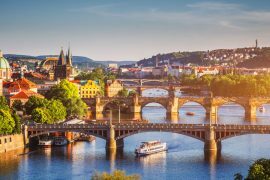 You’ll be able to explore history, architecture and luxurious services along with indulging yourself in its chance of giving you an unparalleled immersion in its local culture. 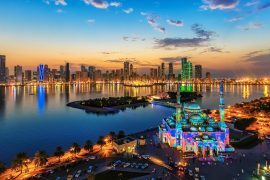 It’s a great break from the hustle and bustle of Dubai and its nightlife and its vigor – in Abu Dhabi it’s all about exploration, casual strolls along the harbor, and markets and a true Arab atmosphere. It’s very hard to miss the Grand Mosque as it soars into the sky majestically and boasts its gorgeous marble from the distance. 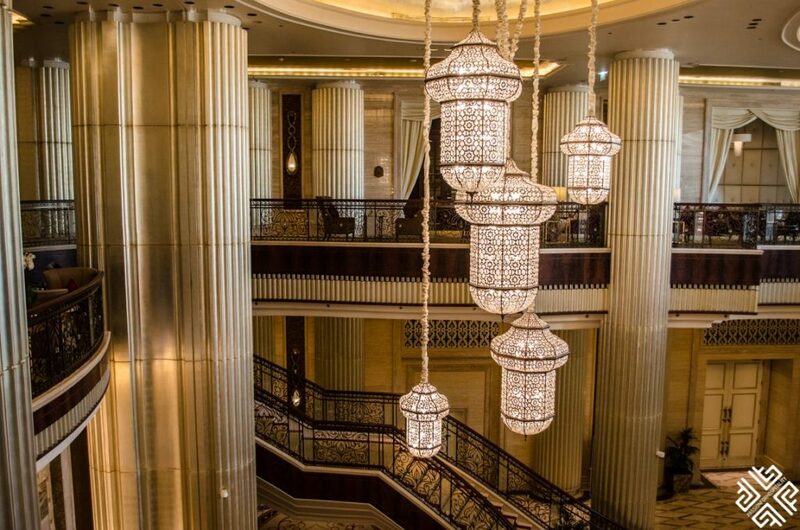 Get ready to immerse yourself in its beautiful grand chandeliers, its carpets and the burgeoning architecture. The mosque is huge, that’s one thing you need to know for sure. 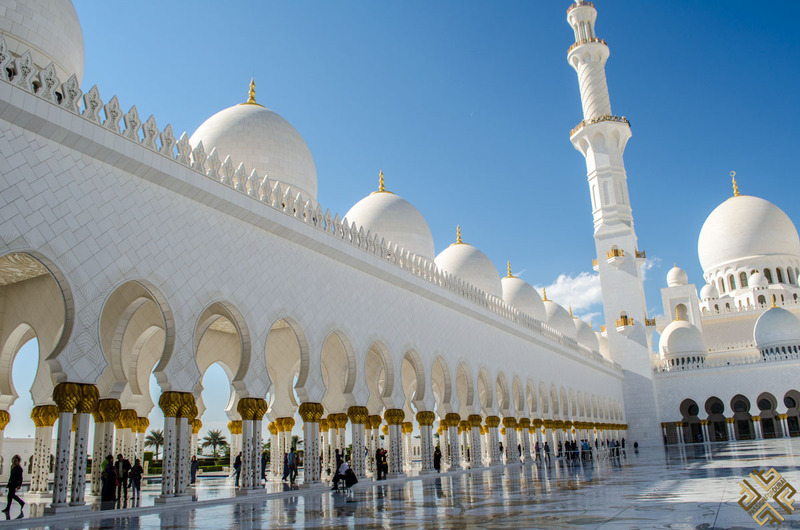 It can easily hold up to 40,000 people (talk about extravagant) and the design is a blend of all types of architecture from different countries from the world while still keeping the quintessential and humbling Arabic architecture. 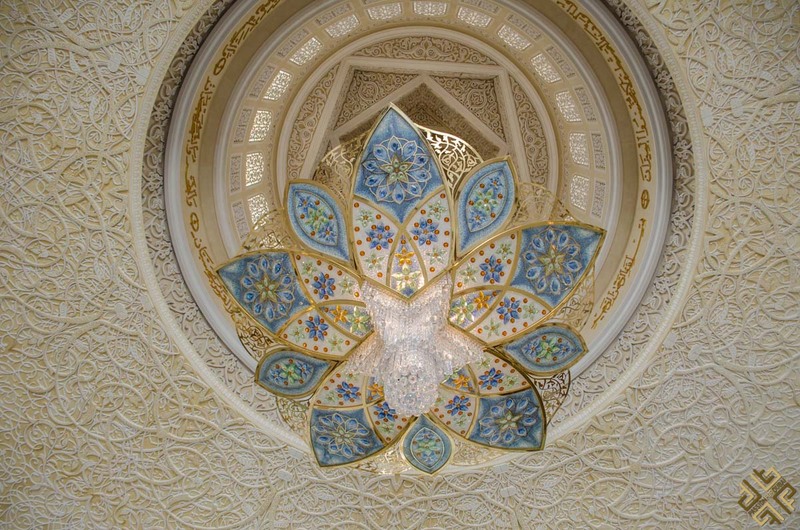 The columns: the floral columns are some of the best in all of the mosque and showcase incredible craftsmanship with semi-precious stones made into the shapes of different flowers and inserted with the marble. The big carpet in the prayer hall: Carpets are a major pillar in Arabic architecture and design, and the carpet in the main hall is the largest in the world and is definitely worth seeing. 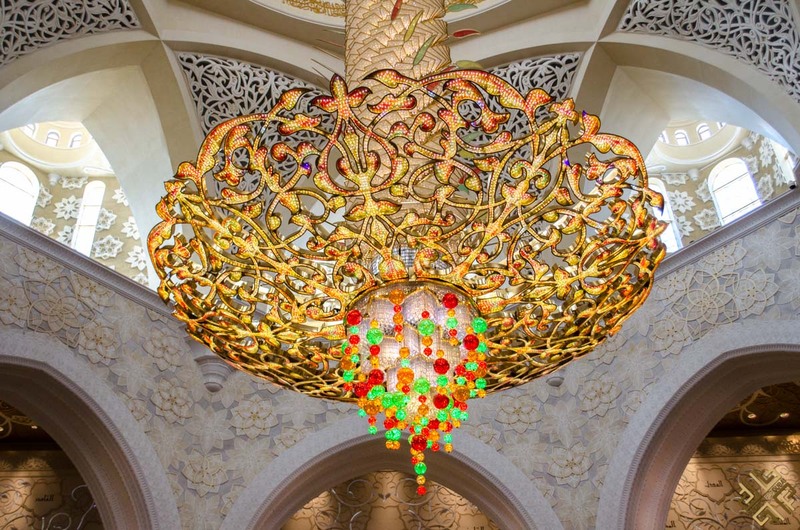 The chandeliers: the 7 chandeliers in the mosque are nothing less of extravagant with their marble, their glass panels and their Swarovski crystals. Make sure you dress appropriate – long, loose fitting clothes are encouraged. If you’re not dressed according to the dress code, you will be given a free Abaya to rent that will cover you up as you enter. The prayer halls inside are very well air-conditioned making summer visits easy. 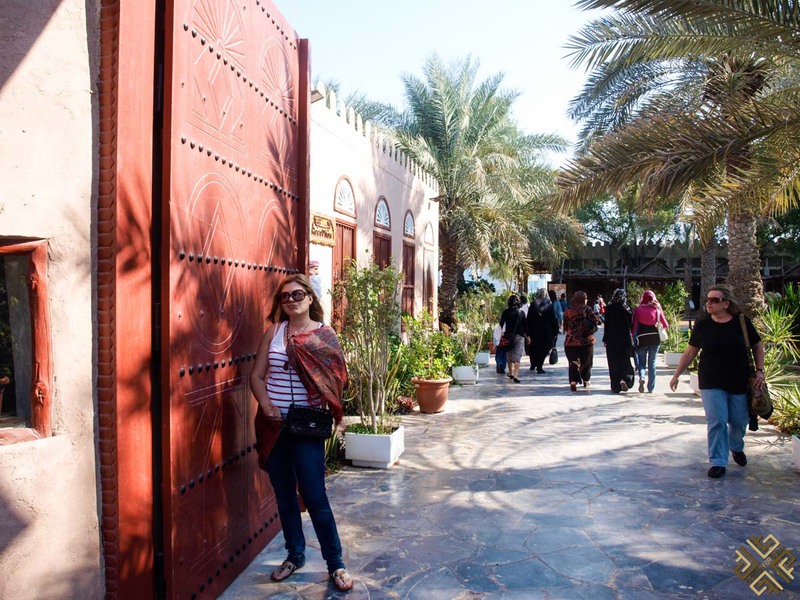 If you want to learn more about the history of UAE, head over to Wahat Al Karama. This place is a permanent tribute to all the soldiers of the UAE who sacrificed their lives for UAE. You’ll see that their memories and personalities are made alive with this place through aluminium tablets. You’ll be met with a sense of unity, solidarity, bravery and much more. The memorial: This is where over 31 tablets are formed from over 1,000 panels. They are all inscribed with poems and more to pay respect to them. 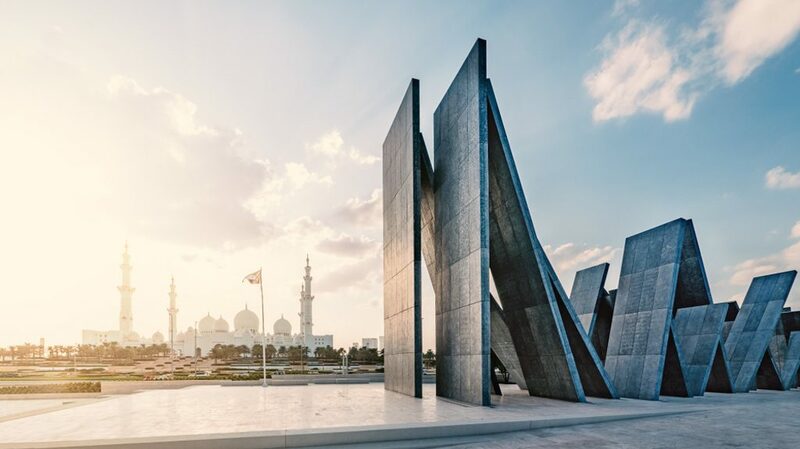 The Pavillion of Honour – this solid structure is inscribed with the names of all heroes in the UAE. You’ll find their name, rank, service branch, and date of death. Visitor’s Centre – There is an interactive experience inside that tells the entire story of the heroes and this memorial as well. 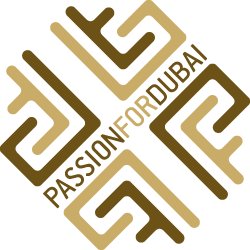 This will give you an interesting glimpse into the past of the UAE. It’s where you’ll walk amongst gorgeous gardens, experience what a souk was like in the old ages, watch a mosque embodied with tradition and much more. 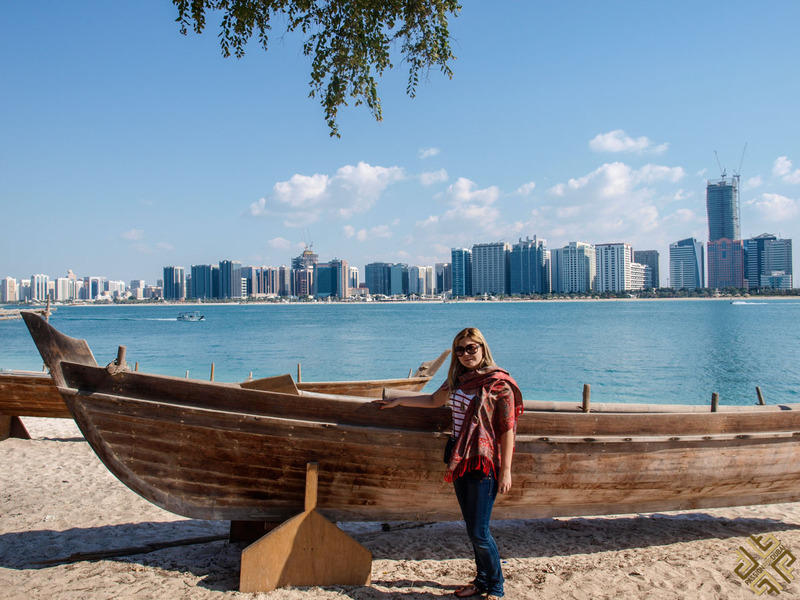 It’s a great way to see how Abu Dhabi has changed and what it was like before, and you’ll see a plethora of traditional skills demonstrated along with a lot of souvenirs you can choose from as well. 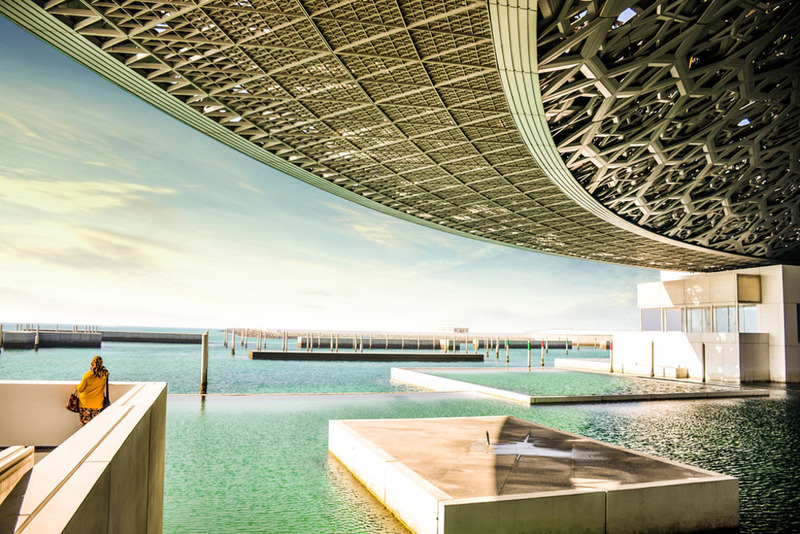 The Louvre Abu Dhabi has been one of the most anticipated museums to open worldwide. Delve into the history of humanity and get a chance to enjoy the unparalleled architecture of this masterpiece. The man-made peninsula is what the Louvre is built on with water running between the sides of the museum creating a great “canvas” to work on. The galleries are separated into 12 chapters of humankind and you walk through the civilizations. Starting from evolution to our civilization right now. Walk around and discover the artwork, learn about historical backgrounds and significances of each masterpiece, check out the different unique floors and their architecture and of course – don’t forget to take pictures. Regular admission gives you access to the museum galleries, exhibitions, Children’s Museum and public spaces underneath the dome. 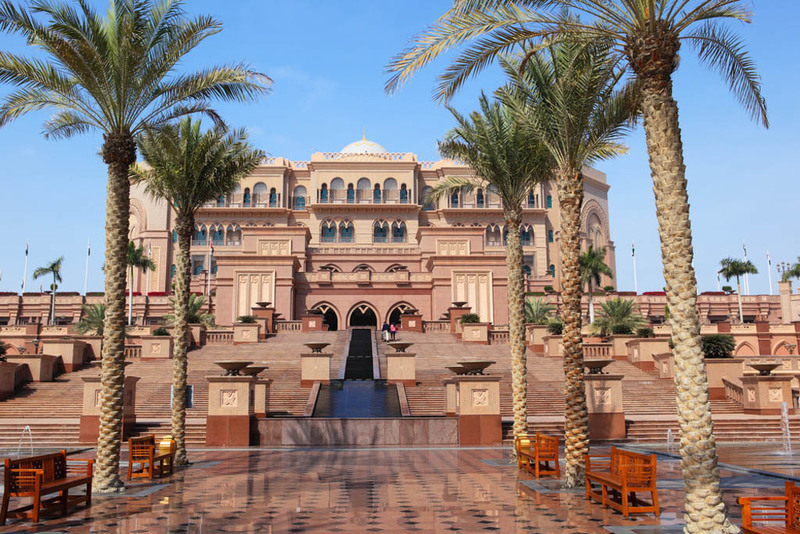 If you have enough time, make sure you visit the Emirates Palace for the world-renowned Palace Cappuccino. Imagine drinking a cappuccino sprinkled in 24 carat gold flakes….You will be amidst the epitome of luxury and indulgence. The aromatic coffee, the dark chocolate and the polished silver tray that the coffee is served on will make you feel like royalty for a few hours. There is one thing you cannot miss out while being with kids in Abu Dhabi and that is the Yas Waterworld. The Yas Island Waterpark is huge and has intense rides, slides and attractions. It also has a tornado waterslide that is hydromagnetic-powered and is perfect for all adrenaline seekers. Get ready to enjoy the Bubble’s barrel waves or the The Bandit Bomber! 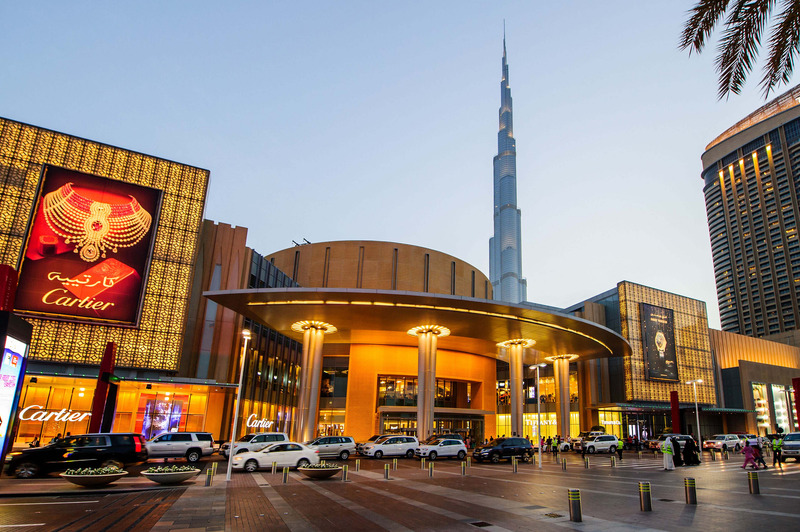 Another place for all adrenaline-seekers out there, the Ferrari World in Abu Dhabi has 20 attractions and rides all inspired by Ferrari along with the fastest rollercoaster in the world. 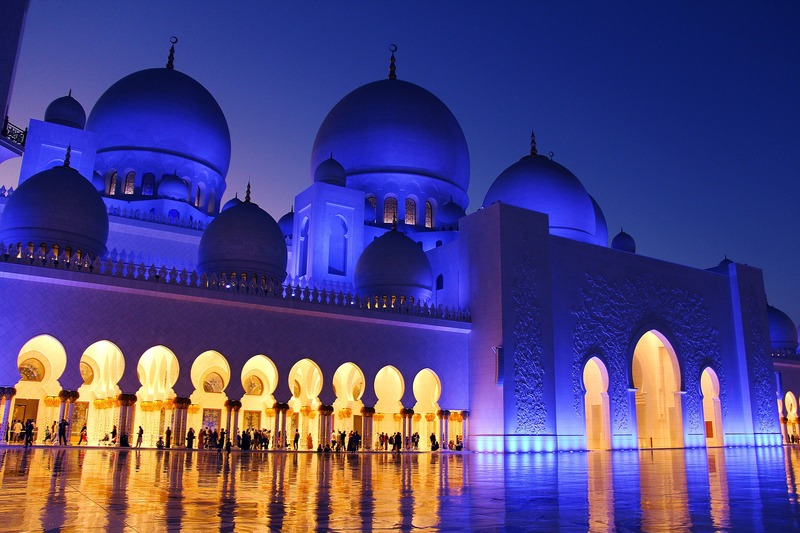 Luckily, traveling from Dubai to Abu Dhabi is not only very easy, but also very affordable. 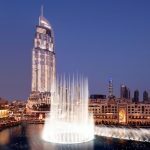 Traveling from Dubai to Abu Dhabi by bus is also considered one of the easiest and most cost-effective ways of doing so. To go to Abu Dhabi by bus, you can go to the Al Ghubaiba Bus Station in Dubai and take the bus from there. There’s one that leaves every 20 minutes. The best thing about those buses is how luxurious and comfortable they are and all for about 25 DHS. First and last bus: the first bus departs at 6 am and the last leaves at 11 pm. Etihad Coach Service: If you’re going to be flying using Etihad, then they offer a free service to Abu Dhabi. All you need to do is book 24 hours before the trip. Cars are not exactly the cheapest option but they’re still somehow affordable. Make sure you know all about the electronic tolls, keep your international drivers license on you and have all your documents. 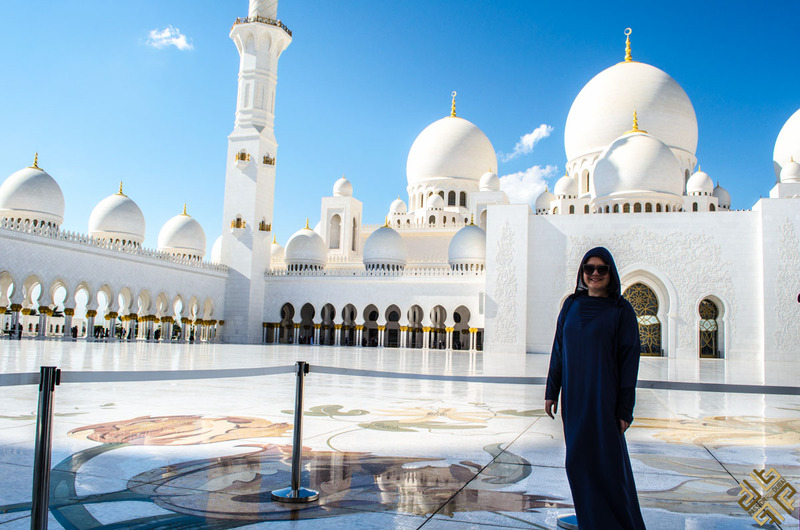 You can also take a guided tour that will take you to some of the major highlights including the Mosque, the Emirates Palace, Ferrari World, Yas Island and the UAE Heritage Village. The best thing about guided tours is that you literally don’t have to plan anything. All you have to do is book it and everything is basically ready for you. You’ll have your pick-up and drop-off sorted along with a tour guide and more luxury add-ons. 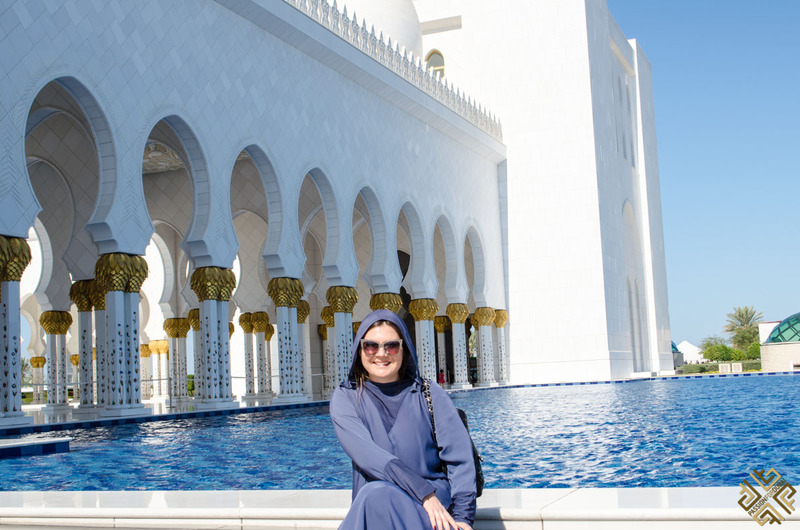 If you don’t have much time but wish to see Abu Dhabi then a guided full- day tour is highly recommended. 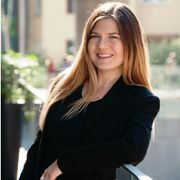 Book your experience here. We recommend staying at St Regis in the heart of Abu Dhabi if you’re planning on staying for more than a few hours. It’s where grandiose luxury juxtaposes with modernity offering incredible panoramic vistas of the ocean and a sense of royalty. 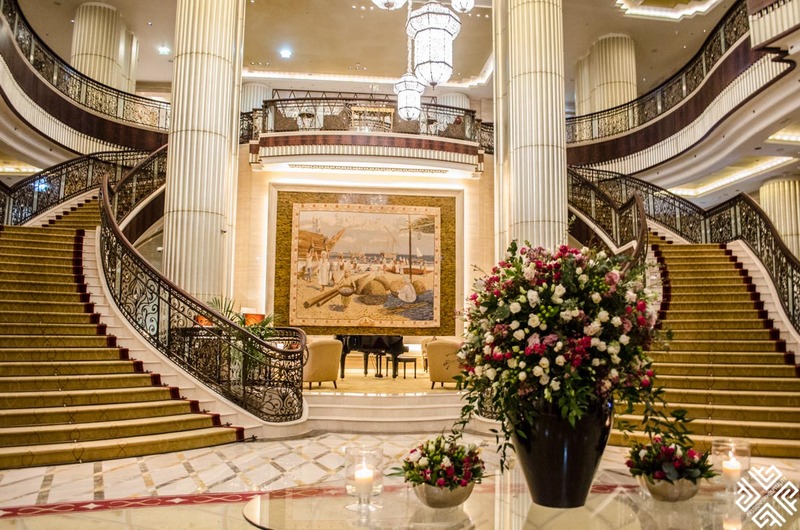 It’s simply one of the best in Abu Dhabi, boasting a 5-star luxury service along with unparalleled comfort. 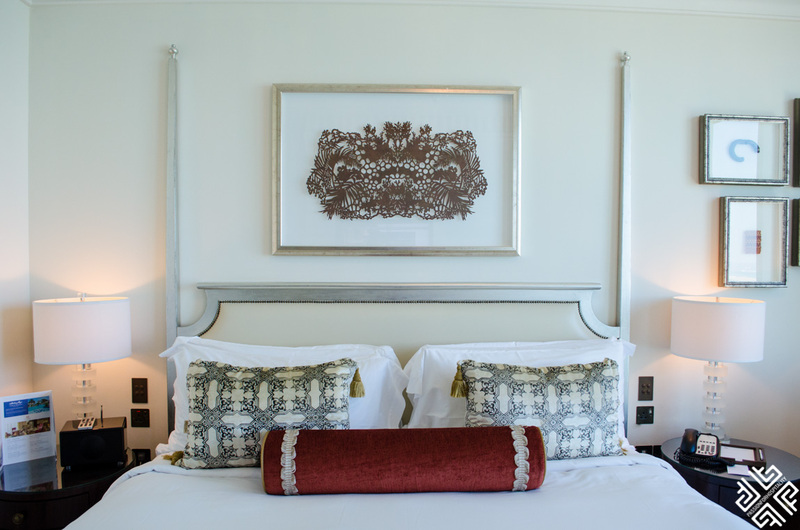 With its 238 guest rooms, the amenities are endless. 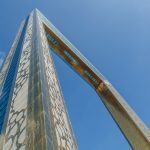 Did you know that the Capital Gate has been named as the “world’s furthest leaning man-made tower”? Abu Dhabi used to be very famous for pearl business and was considered a major source of pearling in the middle east. Abu Dhabi was actually planned by the Japanese architect Dr Takahashi. Surprisingly, the largest ethnic group in Abu Dhabi are the Indians who make up over 40% of the population. I have family who have just moved to Abu Dhabi and we plan to visit in the near future. The Grand Mosque is stunning and I have to visit the Emirates Palace. 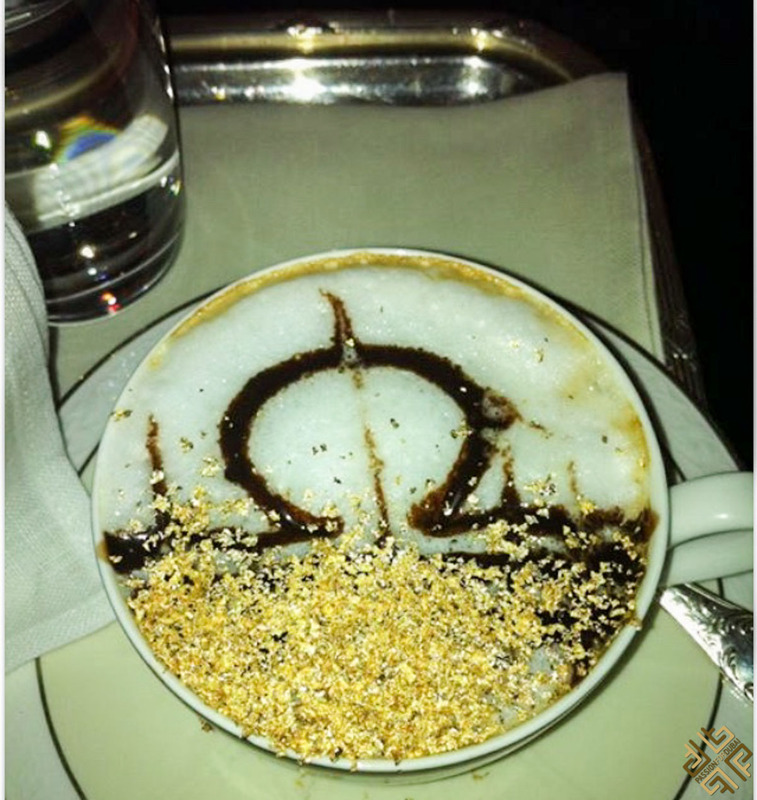 I can’t imagine drinking a Palace Cappuccino with gold flakes. What a treat. Oh how lovely. 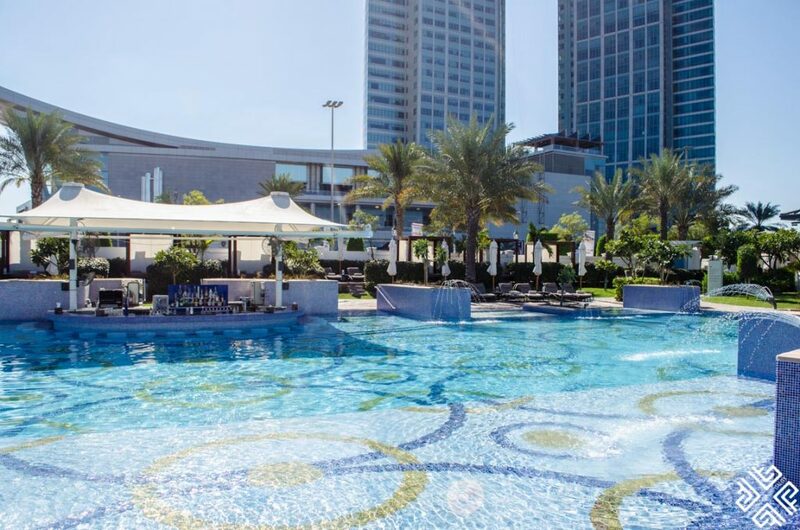 Adu Dhabi has a more relaxed vibe than Dubai. Yes the coffee is insane. Really pretty. Hope you get to visit soon!